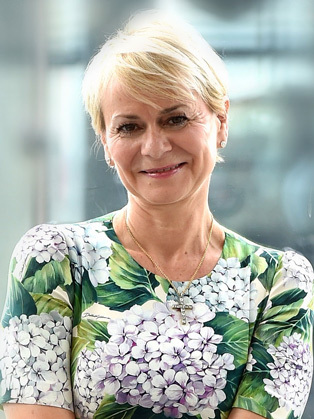 Harriet Green OBE was previously General Manager of Watson Customer Engagement, Watson Internet of Things and Education at IBM where she drove growth in IBM’s high priority and key growth initiatives. Across these business units, Harriet helped usher in a new era of cognitive business, helping “clients unlock value in new insights” from the massive amount of data they generate each day. Harriet transformed IBM Watson IoT from a start-up to a profitable business and lead the successful transformation of Watson Customer Engagement. Previously she led the successful global transformation and rebranding of the Thomas Cook Group, the oldest name in leisure travel with 173 year history. Under her leadership the market capitalisation of the business increased from £150 million to over £2 billion in under two years; the share price rose by 900%; the business raised £1.6 billion for recapitalisation; implemented a focussed strategy for profitable growth; delivered 9 consistent quarters of profitable growth; developed a true omni- channel strategy and drove the digitisation of the business; saw employee engagement increase by 4% year on year and put the customer experience and new product development back at the heart of the business. Before joining Thomas Cook, Harriet was the CEO of FTSE 250 company Premier Farnell Plc from April 2006 to July 2012. Premier Farnell is a global distributor of technology products and solutions for electronic system design, maintenance and repair in Europe, the Americas, and Asia Pacific, with global sales of £973 million and operating profit of £123 million. Premier Farnell works with over 3,500 suppliers, supplying 600K products, and employs 4,500 employees in 28 countries. Under Harriet’s leadership the company grew its business in China and India and established the web as a major sales channel, whilst developing an industry leading online community. Prior to Premier Farnell, Harriet was senior vice president of Arrow Electronics Inc., a global provider of products, services, and solutions to users of electronic components and enterprise computing solutions, and ran business in Europe, Africa and Asia –latterly as the President of Arrow Asia/Pacific. In other roles she was also responsible for global strategy, investor relations, worldwide marketing and supplier management for Arrow's components and computer products businesses. Arrow has annual sales of $21.4 billion and employs 16,500 employees in 58 countries. Prior to Arrow Electronics, she was managing director of the Macro Group, an electronic components distributor, which was part of the Diploma plc Group. Harriet is also a non-executive director of FTSE 100 BAE Systems plc, a developer of defense and aerospace systems, with sales of 18.2 billion in 2013.